The Mobile Coffee Bean provide a high quality coffee experience for any conference, exhibition or event. 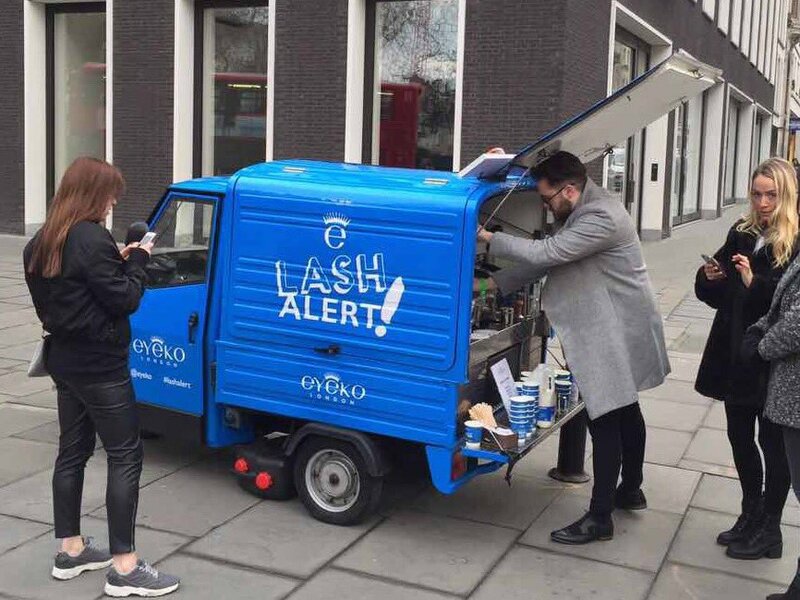 We use attractive Piaggio Ape mobile coffee vans, carts and bars. 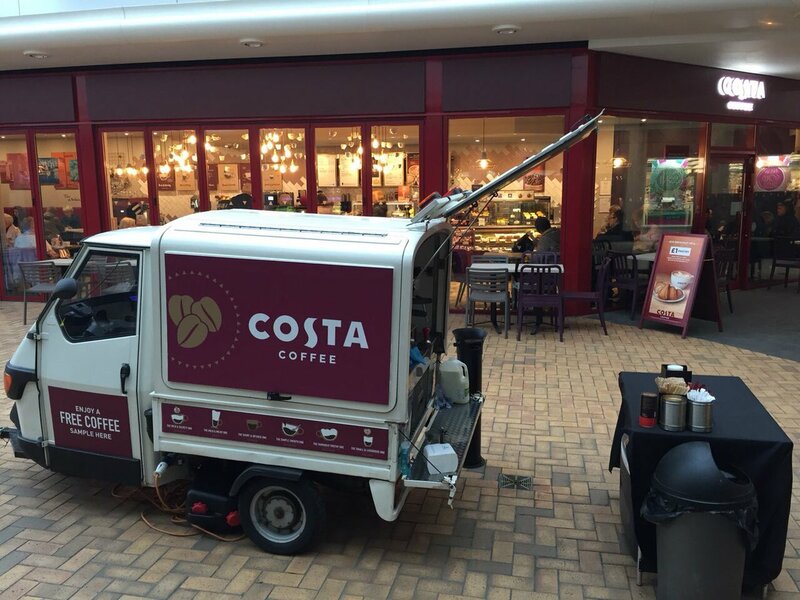 Our mobile coffee vans, cart and bars can be branded with your own logo with branded coffee cups also supplied. This reminds people of your brand whilst they enjoy a top quality, barista made coffee. From corporate events to film sets and locations. 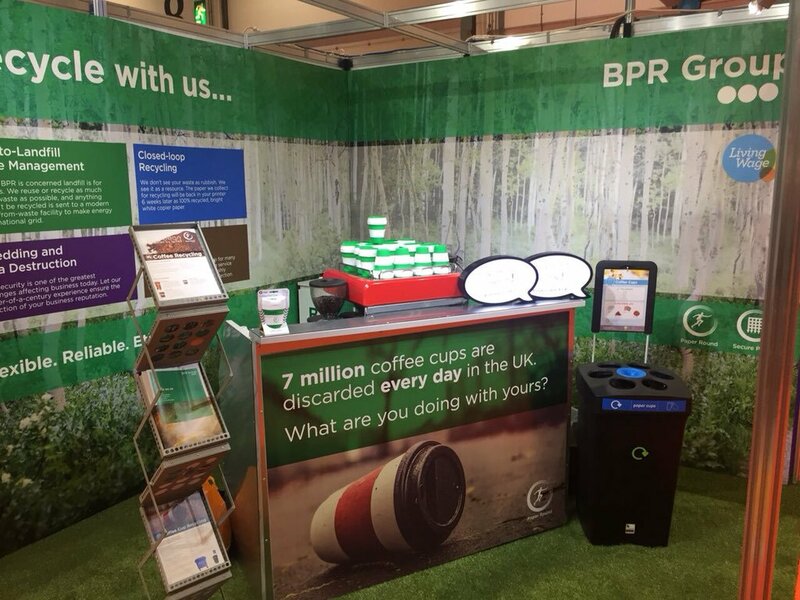 Also sports events to summer / winter fairs, exhibitions to weddings, large-scale festivals to advertising – we have all your mobile coffee needs catered for. The Mobile Coffee Bean take pride in the appearance and cleanliness of our mobile coffee vans, carts and bars. We are also proud of our professional baristas, who are just as important as the high quality of coffee, tea and snacks that they serve. 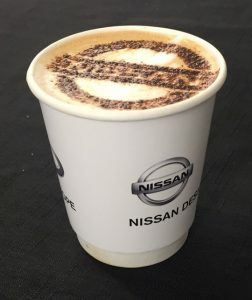 Our care and commitment to providing a top quality mobile coffee service shows in the positive feedback we receive from returning clients and customers. Whether you enjoy a flat white or just your regular Americano. Why not have it made with freshly roasted coffee beans, ground to order by your own professional, friendly baristas. You’ll feel like you’ve just stepped into your local coffee shop without having to go anywhere!